King Arthur, Lancelot, the Round table, Guinevere, Excalibur, Camelot.. The legend of King Arthur and his amazing adventures!! As a child I used to love every single movie and book about his legendary tales.. I didn't care if they were real or not, reading it took me to far away lands where magical tales existed and everything was possible.. The guide said that in Camelford you could visit Arthur's Stone. Arthur´s stone.. ? The Arthur? King Arthur? Come to think of it, Camelford does sound a lot like Camelot.. So I showed her the book and she said: Ohh, The Arthurian Centre! It is 5 minutes from here! Impromptu adventures are the best!! So after my amazing trip to Switzerland I have decided to spend a day in Genova before heading back to England. I started my trip in Geneva and decided to finish it in Genova. The Geneva - Genova trip. Let me just start by saying that travelling to Switzerland has been my dream for a long time. A land known for its chocolate, crystal clear waters, waterfalls and stunning scenery always sounded like heaven to me. I hadn't travelled in a while and was planning to go backpacking somewhere for my birthday. Until one morning I came across a flight to Geneva for 30 pounds. 1 day on the panoramic train to Interlaken then get a train to Bern. I have read about how expensive Switzerland is so I had a daily budget which I organised in different envelopes (pretty sad how organised I am travelling haha). So each morning I would wake up, open my envelope and put only the daily money on my wallet so I knew how much I could spend. I also bought the interrail pass for 3 days to save money with trains. - I took some coffee sachets with milk and sugar (all included) so in the morning all I had to do was mix it with hot water to have breakfast and took some cereal bars as snacks to save money. A coffee at the supermarket costs 3.50 (Swiss Francs) and at Starbucks 8.00! So if you just NEED your coffee in the morning like me it is a good idea and it saves a lot of money. - Some hostels offer a transport card for free which allows you to use all the transport around the town. 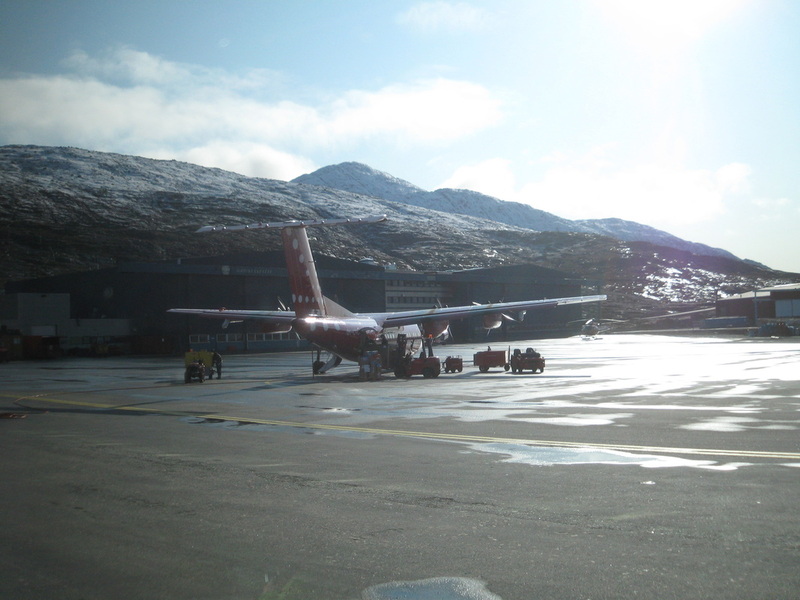 Kangerlussuaq is a settlement in western Greenland and is famous for having Greenland’s largest commercial airport. As soon I arrived at the airport I looked for a taxi to take us to our hotel. But of course there weren’t any taxis. So I did what any other lost tourist does: got into the first queue I saw. Luckily at the end of the queue I found a very helpful person who checked us in at the hotel (which was at the airport) and also showed us where we could rent bikes to explore the area. It was around 50 euros to rent the bike for the day. Really expensive but totally worth it. The plan was simple: Head north and explore as much as we could. Travelling to Brussels with less than 60 pounds. About 6 months ago I had a crazy urge to travel but I only had 60 pounds in my pocket. So I decided to take an overnight bus from London to Brussels. The plan was: I would sleep on the bus, arrive in Brussels at 6 am, explore as much as I could and get the bus back in the evening. Brussels is the capital of comic strips. The whole city is filled with over 50 comic strip murals. Tintin, Gaston, Lucky Luke and even the Smurfs were created in Brussels. Tintin is everywhere. At the museum, book shops, streets.. If you go to the tourist information centre at the Town Hall of Brussels you can buy a map with the Comic Route and find all the Comic Strip Murals and the Comic Strip Museum. and I've worked on yachts for years, lived in Italy, France and currently living in the UK planning my next big adventure.